To get a live person on the phone, the best number to call is 877-937-4098. You will first have to go through the auto attendant. Press #5 to get additional Menu options. 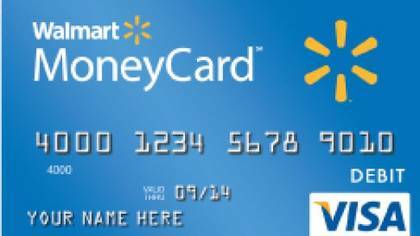 You will then be asked to enter your Walmart MoneyCard and Zip code. If you don’t have that information, you will be asked to enter your social security number. At that point, you can get your account balance information and recent transactions. You can press Zero “0″ to speak to a live person. Expect to be on hold for a while before you can speak to a human. That’s how you get a Walmart MoneyCard Customer Service Live Person. The overall experience could be better. It seems Walmart may have outsourced their customer service. We expected better service for such a major prepaid card than we got. We would like to hear about your experience. Were you able to speak to a live person? How long was your hold time? Let us know in the comments section below. The video above is the MoneyCard video we were referring to earlier in our post. My card was locked because of unauthorized transactions. I have a new card coming in the mail. I cannot access my account until i receive my new card. The problem is I need to speak to someone now about my account. My payroll check will be direct deposited onto my card and i won't have access to my money until i get my new card? I am stuck out of town and need access to my money to get home. I really need to speak to someone but cannot get a live person when i dial the only number i have been provided with. I need to speak to a live representative! I received a new Walmart Card but I can't activate it because it is blocked , first problem why was it even blocked 2nd problem it said I had to go online to upload my driver license as proof of identity did that twice unsuccessful I might add 3rd but the most frustrating is I have not been able to speak to a human being I thank God I am a Christian because Lord knows I have had a Freaking nough of this it's my own money I'm trying to get access to can someone please contact me at 228 254 7642 Ms.Kimberly Turner Thank You. I can login and see my balance and transactions BUT trying to call customer service and get told my card and SS number are invalid entry. Recording cuts me off before I can get entire numbers put in. Guess it's time to change to another company! I bought the card. I tried registering card. Gave my information. Was told my identity could not be verified. Now card can't be used at all. So I'm screwed outta my money cause can't even get through Customer Service. I went thur all the information to register the card then the women put me on hold n hung up and my card says its registered but has no money on it after i paid 25.00. Will NEVER get another card or anything from walmart. On hold now with customer service for 38 minutes. The only way to speak with a live agent was to select the lost or stolen card. They state if you proceed you cannot use your card. FINALLY, when I was just going to give up and block the card they transferred me to a live person. I feel scammed. I went to Walmart to get a card I could get my checks direct deposited. They gave me this card. I found out two weeks later that the card cannot accept direct deposit and is not reloadable. So, basically I paid $10 for NOTHING. WHAT A WASTE. SCREW THIS COMPANY AND THIS CARD. DO NOT BUY. DO NOT USE. It's absolute and utter horsesh**. I'd rather slam every one of my fingers one-by-one in a car door than have anything further to do with this level of utter stupidity and ricidulousness. I got this card weeks and weeks ago. Never used it. Now for some reason it's block and requires ID verification. OK. I followed the instructions, supposed to be fixed in 2 days. 5 days later still doesn't work. Called in. You have to follow the prompts for lost or stolen card, and then choose card not received. Anyway, talking to the reps about why it wasnt fixed yet somehow meant that now i had to wait 5 more business days. O-freaking-K. so i went through all the crap they wanted and waited. TEN MORE DAYS LATER it still doesnt work and i've been on hold for 45 minutes KNOWING the underpaid overstressed foreign callcenter agent i'm going to get on the line in the next hour or whatever will be completely unable to help me. I have tried everything I can think of to talk to a live person and there is no way. I had Guitar Center send me a product that was defective and I was told I had to pay to ship it back $86.00!!! I said no way in hell you sent a defective product under normal circum stances call your card customer service and they will put your money back in your account. Walmart no longer offers that server your just screwed. Banks do it every one else does it but now Walmart will not. Find another debit card company with no customer service your screwed if you need help! Lousy you can not speak to a person. I bought the card to pay something and I give them all of my information and I didn’t pass the verification so now I can only use it at a STORE!!!! Why would I put money on a card to go to a store when I could just use cash???? This is very dumb and stupid and Walmart should be sued for this. This is not fair and very inconvenient. I need to change my pin because when I use my card it says it's the wrong pin so I go to the website the website directs me to the app the app tells me to go to the website and when I call the number on the back of the card I can NEVER get a real person I am out 95.00$ this is ridiculous I want to use my money but it seems like this company just stole my money instead I will NEVER NEVER use another one of these cards again and I will tell everyone I know NOT to use these cards and this web page says to press #5 when you call the number on the back of the card BUT THERE IS NO OPTION #5 THIS IS CRAP I WANT MY MONEY!!!!!!!!!!!!!!! !